First impression is just outstanding and ground breaking. See it for yourself there are already so many tenants. Either the tenants or the amounts of patrons are impressive. Good news for fellow's hobby is loitering. The spacious and modern boulevard for your utilization. You will be surprised and amazed by spent more than 3 hours just walking around the Imago without entering it. Feel the breeze ! , feel the calm, feel the temperature, feel the blue sky and white cloud. Feel the passion of loitering around a new mall. Feel the blending in and talking with strangers anticipating some freebie from the Imago counters. 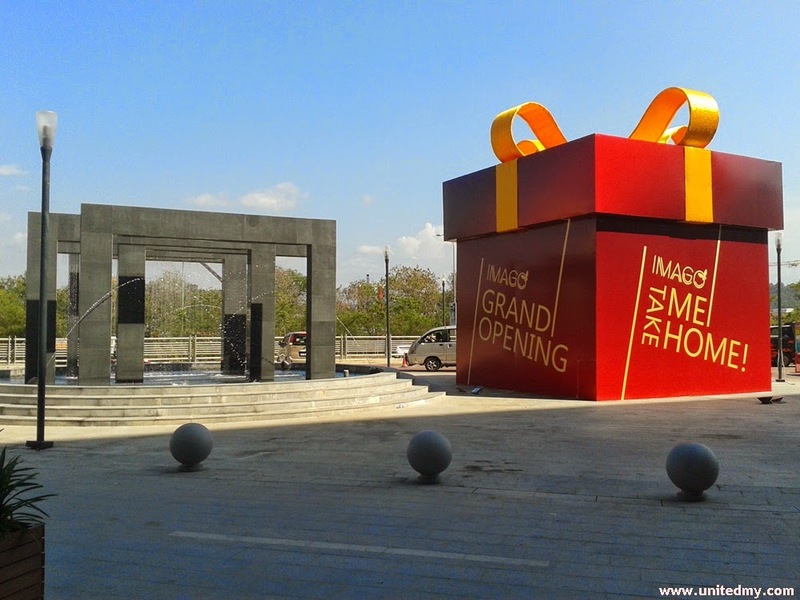 Some said, upon the opening of Imago mall there is a lucky draw. Yes, that is the right thing to do for a new mall. But, what actually take my sense away is that there are some free houses and free cars. Just so you know I did not participating in the lucky draw because I thought for a moment and it coming out like this "It too good to be true". It better be ! If you notice, there are tons of peoples actually wearing the shirt printed with "Imagoers" or something like that with a lucky draw codes. Feel the need, the need for freebies. Ain't no going back without any free stuff. There are Golden Screen Cinema and Growball cinema here we come MBO cinema. Admitted that the free tickets are tempting guess what there are so many advertisement posters hanging around written MBO cinema is giving out tickets. Apparently, got to shout this out loud that growball cinema is still the cheapest in town. Show your IC and get free ticket, the selection of movies are Avengers, Home, Cinderella and so on. Besides, one could register MBO membership too. Anyone noticed the archery shop beside the MBO cinema. Uninvited Spiderman and Iron Man hanging around at MBO cinema, Quality time indeed. Besides, who get too excited for Avengers 2 ? Without further ado, welcome the next performance. the drum beating and excellent performance are eye-popping. Cocktail tables, buffet dinner setup and VIP dome setup, believed to be from Tanjung Aru resort. Never really wait till to see who are organizing it. 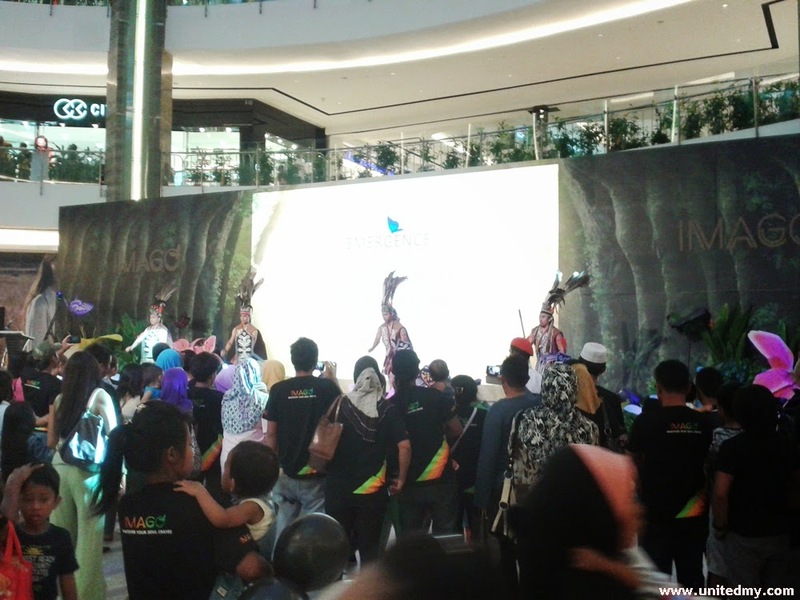 A pretty good location as Imago mall's modern ceiling structure is covering the ground. The photo above was taken before the crowd rushing in. Around Saturday 1.30PM. 2 more hours at here you will get the feeling of accidentally shoulders-to-shoulders touching.